It’s spring time and that usually means it’s time to visit family, the beach, or perhaps even go camping. Our family recently visited Mammoth Cave, Kentucky. We loved it! It case you are looking for a great family getaway, I highly recommend it for families. We like to take short weekend getaways, but we don’t want to break the bank when we do this. So we try to do our best to be conservative in our spending on these trips, packing some of your own food is a great way to save cash. We also don’t want to fall into the trap of eating unhealthy fast food while we’re away from home. This can be hard when that is all you see around you. With a little planning and creativity, you can create some simple snack foods to take along with you to sustain your family and keep them away from the golden arches. On our last trip, I experimented with a recipe and it came out wonderful. I will make these again. I think you’ll enjoy them. They work well for breakfast or any meal of the day, even a great snack. They were tested by all members of my family and I’m happy to say they were given 2 thumbs up! They have a lot of protein and are packed with nutrients to keep you going through the day. Your little guys will gobble them up! 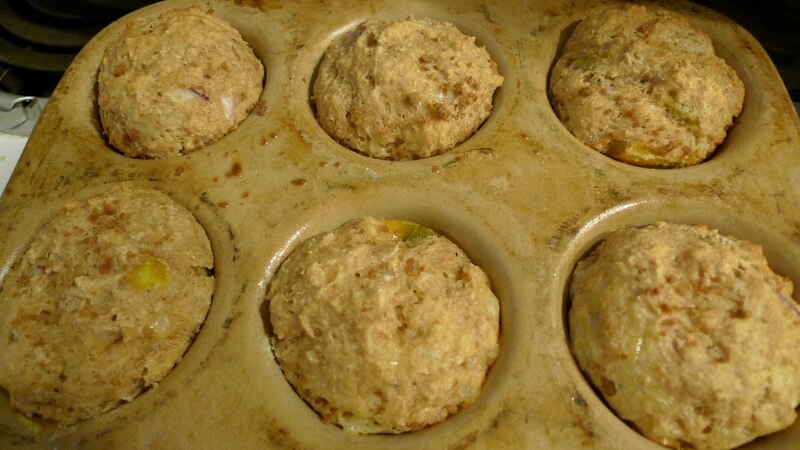 1) Heat oven to 400 degrees F. Prepare muffin cups with paper cups or grease muffin cups. 2) Combine flours, baking powder, baking soda, and seasonings in a large bowl. If you soak your grains, you can combine your flours with yogurt and 1/4 cup of water and leave to soak until the next day. 3) Whisk eggs, yogurt, and melted butter into a medium bowl. Fold in cheese, onions and peppers. Make a well in the center of the dry ingredients. 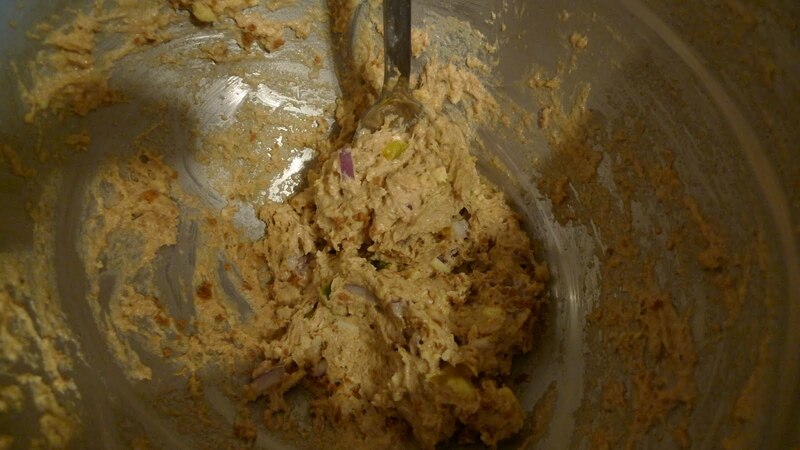 Add wet ingredients and mix until just moistened. Scoop batter into prepared cups. 4) Bake until golden brown on top, approximately 20 minutes. Let cool in pan for a few minutes before serving. These are great to make ahead and enjoy on your trip or mornings when you don’t have time to prepare a set down breakfast. They will keep refrigerated for several days and can be frozen for up to a month. They can also be split open and filled with cheese, like a sandwich. Delicious!! Do you have any special healthy treats you pack on family trips? I’d love to hear from you! This post is part of Tuesday Twister, Real Food Wednesday and Vegetarian Foodie Fridays. Wow! These look different than any kind of muffin I’ve ever tried. I love new kinds of recipes! Thanks! I might even make these this weekend. Thanks for coming by and linking up with me today! Next Next post: New Pets. Good for Eggs too!